Polls taken in recent days show that a union of Benny Gantz’s Resilience Party and Yair Lapid’s Yesh Atid would net the pair as many as 34 seats in the next Knesset – while alone, Gantz might get 20, and Lapid 10. 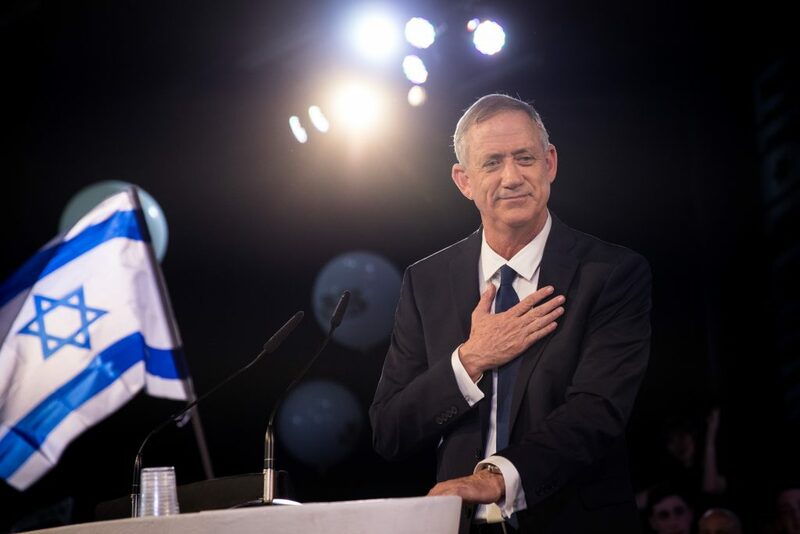 But a report Motzoei Shabbos said that even though Lapid has agreed to a rotation arrangement with Gantz, with each taking the prime minister’s post for half of the five-year term of the government, Gantz has turned the idea down – and decided to run on his own. The report in Walla News quoted sources who were involved in the negotiations as saying that “Gantz has made a strategic decision to not run with Lapid.” The unification will not bring much more strength to Gantz’s party than it could achieve on its own. Instead, Gantz prefers to absorb the Gesher party of Orly Levy-Abukasis, which polls in recent days have shown does not pass the electoral threshold if it runs alone. The Resilience Party had no comment on the matter. In a statement, Yesh Atid said that discussions on unification between the parties were being held directly between Gantz and Lapid, and no “sources” were aware of the contents of their discussions. Political observers said that with ten days to go before party lists needed to be submitted to the Elections Commission, the likelihood of unification between various parties was still high, and that announcements could be expected until the last minute.